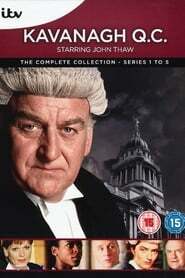 The series starred John Thaw as barrister James Kavanagh QC who comes from a working-class upbringing in Bolton, Greater Manchester. This is only discovered in later episodes as his parents' health deteriorates and through an exchange with a colleague who presumed that Kavanagh was actually a Yorkshireman. The series dealt with his battles in the courtroom as well as his domestic dramas which include the death of his devoted and affectionate wife. Later he begins dating a fellow barrister.